Calgary Home Sellers always want you to do open houses because it makes them feel like you are doing something to promote their homes, but what they don't realize is that the open house is just a vehicle of opportunity to the real estate agent sitting the open house itself. When I started selling Calgary real estate in 1997, I did an open house every weekend for the first year of my career. The only reason I did them was to meet other prospective sellers and buyers. Out of all the open houses I have promoted, advertised, and door knocked (yes door knocked but that is a whole other story) I have to say I have NEVER sold the intended property featured as the open house. But I can say that I met plenty of sellers and buyers and sold dozens of other homes as a direct result of the open house. 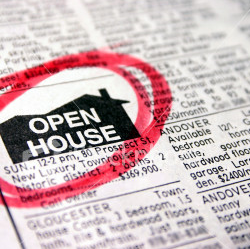 In fact the statistical truth is that less than 1% of all home sales occur from an open house. A pretty large indication that open houses do not effectively market a home in today's marketplace. Sellers love to see their homes in fancy glossy magazines with color photos. Again just another item on a long checklist of old marketing ideas that center around marketing the Calgary Realtor, not the property for sale. In the late 90's yes advertising in print media both newspaper and $3500 magazine ads were a great way to get the phone ringing, but now with almost every home in Alberta having a computer and Internet connection, why would someone run out to get the latest edition of a home magazine. They simply don't, they turn to the Internet to find their home. People who pick up a magazine are ill prepared and just starting to think about buying, and that is ok, but the call volume off of such ads just is not the same as it was 15 years ago. Another approach to appease the seller, but really not effective in marketing a home. To truly be successful in selling a home in today's market, you have to utilize the service and knowledge of a agents that supports technology with an innovative approach to market your home. Traditional methods have expired and today's buyers are savvy and sophisticated, we need to appeal to them and adapt our way of marketing. Thanks for your comment and support Jared. The Internet makes everything easier and better if you know how to use it properly! First off - super post and I love that you took a strong and very real position. As far as buyers finding a home I agree. They aren't all that concerned with how many bus benched or shopping carts someone has... However I think they do have a serious impact when it comes to choosing a Realtor. Being front of mind is very very important and does not happen by accident. It totally depends on the objective of the advertising medium. Market the property or market the Realtor? For sure open houses are 98% ineffective. That said I do think its key to be able to identify the 2% and use them when there is a chance that a listing might be in the 2%. 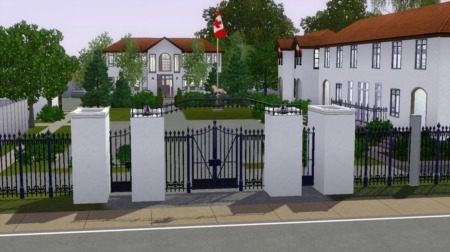 For example I had a house in South Calgary that was super ugly from the outside and only had a single garage in an area where everyone looking would search for a 2 car garage at minimum. I open housed it three weekends in a row and it was bought by a visitor that came through one of the open houses. It was actually my personal residence. Yes this is one out of the 99 open houses I did to get a sale. It was actually my personal residence. Also I think that although open houses may not result in a direct buyer coming thorough they can prove very effective to spread word of mouth and or create a sense of urgency to those who may be considering the property and are keeping a close eye on it. In regards to print ads...God give me grace.... I have spent way way way to much on fancy glossy pictures and been consistently disappointed by the ROI and more importantly by the very poor and unreliable service by companies such as Dream Homes Of Canada...(More on this later). You nailed it in regards to the primary outcome being satisfying the seller.Which bye the way is very important in itself. However I think if the feature page, cover or story is used to promote a property it can prove effect for the right property. It adds clout to a potential buyer when they view a Million $$ home to know it was on the cover of a magazine...woooooo the cover. Which I think is really the only way to go to get results from an ad. Great post and keep keepin it real. Awesome!